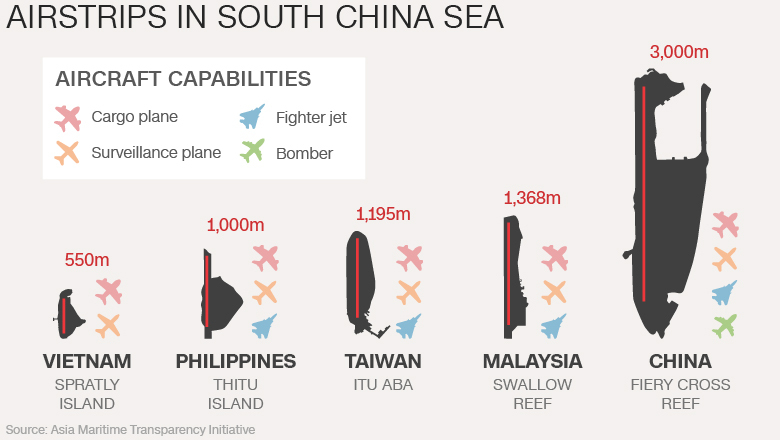 China has landed a civilian plane on the man-made island of Fiery Cross Reef in the Spratly Islands in a major escalation of tensions in the South China Sea. 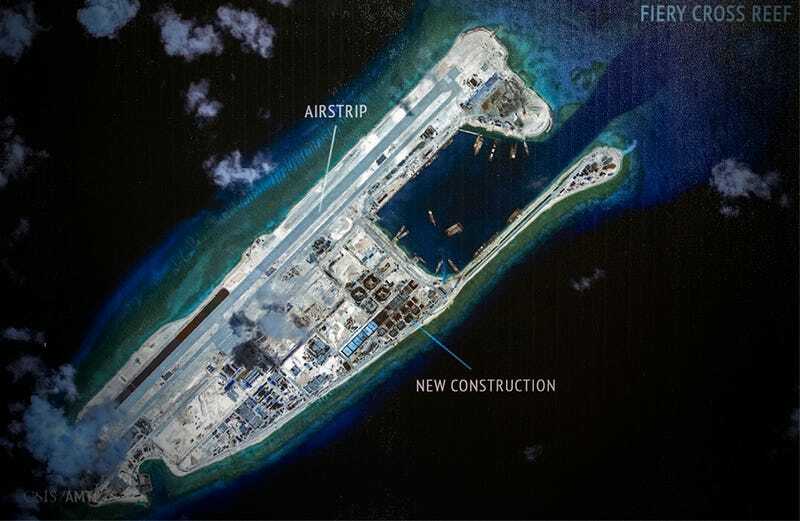 U.S. and Asian military analysts fear that eventually China will turn the 3,000 meter airstrip into a military facility and dictate movement of ships and planes in international waters and threaten free trade and commerce in one of the world’s busiest shipping lanes. The airstrip will be able to handle long-range bombers, fighters and transport aircraft that would provide a significant Chinese military capability in the area. Once the facility is fully operational, China could declare an air-defense zone around the region, which would set up a confrontation between the United States and Chinese expansionist ambitions. Vietnam has filed a diplomatic protest, and the Philippines plans to do the same, according to Reuters. “That’s the fear, that China will be able take control of the South China Sea, and it will affect the freedom of navigation and freedom of overflight,” said Philippines Foreign Ministry spokesman Charles Jose.